Crafted from 100% cotton and designed by our in-house MADE Studio team, our Pierre collection brings comfort and style at an affordable price. That way you can collect every piece. Pierre's pattern of organic, Nordic shapes – combined with the delicate Scandi colour palette – is one for slow, easy living. 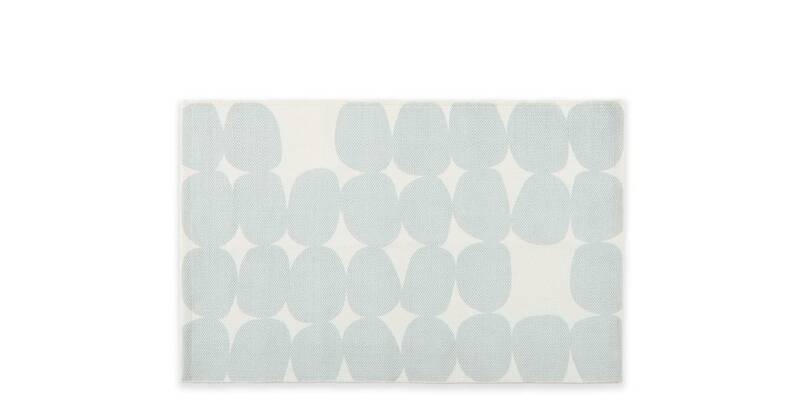 In 100% cotton, this bath mat's easy to clean and will dry quickly. It's durable too, in a design that'll also stand the test of time.